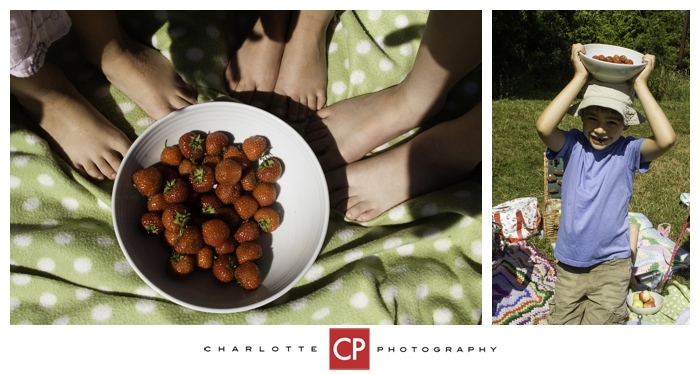 A Summer Picnic – A Photographers Dream! With the recent spell of amazing weather we’ve been enjoying (please say I’m not going to jinx it by talking about it) I was suddenly struck by how lovely it would be to have a picnic. 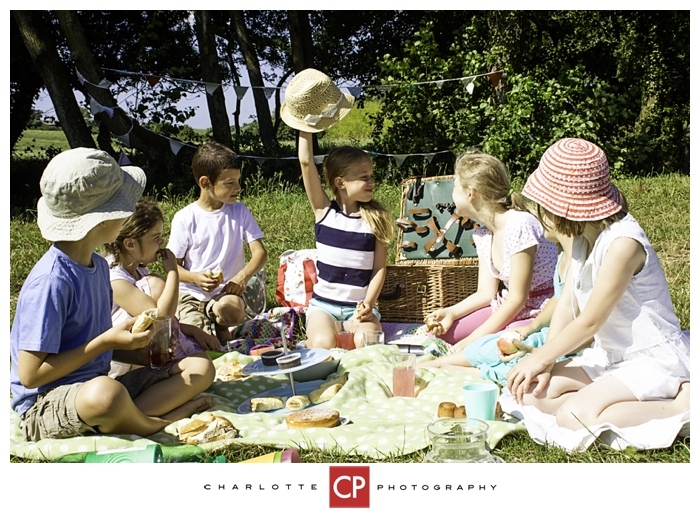 Getting out into the great outdoors with friends and family and a few bits and bobs in a picnic basket is so easy and provides a wonderful backdrop for a shoot you’ll remember with as many happy memories as they do! I rang round a few friends I knew would be willing to come and have fun on a picnic (not a hard sell!) 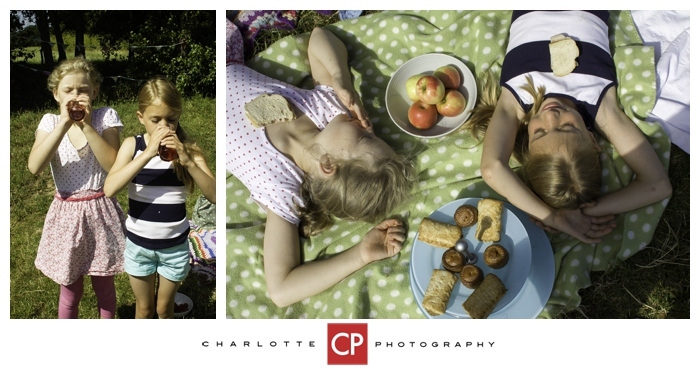 and get some really magical shots of a classic picnic. Choosing your location is just as important as the jam sandwiches: the greys and browns of your nearest car park might work well for a fashion shoot, but aren’t going to have the same sparkle as the countryside. Having chosen a local beauty spot and met up with the other mums and dads, I got the kids sat down and managed a few shots before letting them loose on the food, but once they had started in on the strawberries they forgot me and my big camera were even there, it was easy to just snap away at them. 1. One of the great props at a picnic is the food. Interestingly-cut sandwiches, unusual fruit, exotic biscuits, cakes, muffins- the list is as long as you’re willing to spend preparing beforehand. I’d always recommend strawberries, but even a tin of mixed biscuits will work wonders – and it’ll keep your models paying attention to what you want them to do! 2. Blankets. Crucial component of any good picnic, a traditional checked number or something more modern with polka dots. Watch out for garish granny-style crochet blankets as they can overpower your images. 3. Bring bunting because no picnic is complete without a bit of bunting. 4. 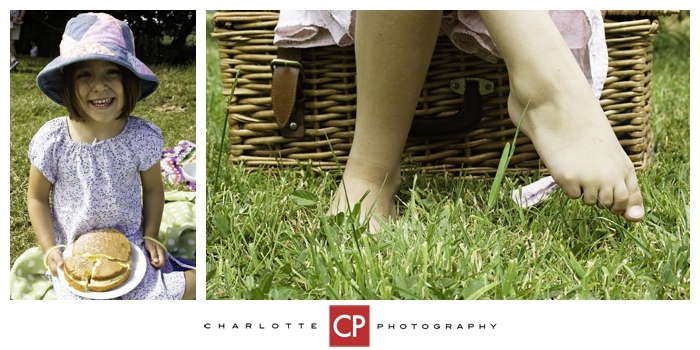 A picnic hamper is a great prop if you can lay your hands on one. Not only is all your food in one place (rather than dozens of plastic bags) but they make a useful stool for pointing toes. 5. Try to keep the sun to your left or right, rather than directly behind you. If you don’t, you’ll find all your pictures feature squinty children with over exposed faces. Shooting into the sun can give you some lovely silhouettes and sun dappled edges, but you’ll have to adjust your settings to expose for your models rather than the background. 6. Basic exercises are another great way of getting action shots – jumping up into the air, as tall as trees, or lying down flat on the ground will distract them away from the camera. 7. If they do all keep pulling silly grins at the camera, then try telling them you’re invisible and they have to ignore you. You can get some great expressions this way. You’ll need patience, but eventually they’ll forget there was ever a camera, relax and their imaginations will take over. 8. Of course sometimes, you do want them looking to camera, so when I’m after a genuine smile (rather than their idea of what a natural smile is) I find saying silly things about ‘farting’ makes them laugh, and I can snap them mid-chuckle. 9. 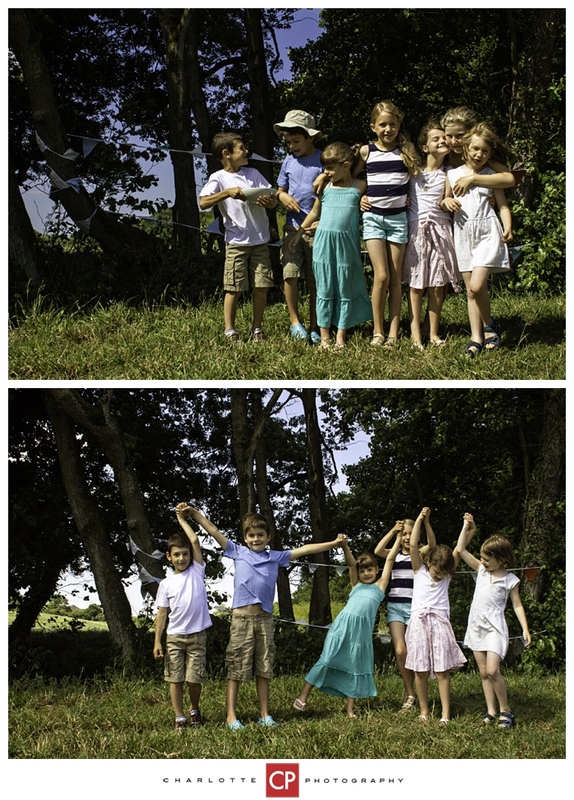 Try and shoot from a variety of angles, rather than just from your height looking down toward them. 10. Don’t forget to pack your camera, memory cards and spare batteries! 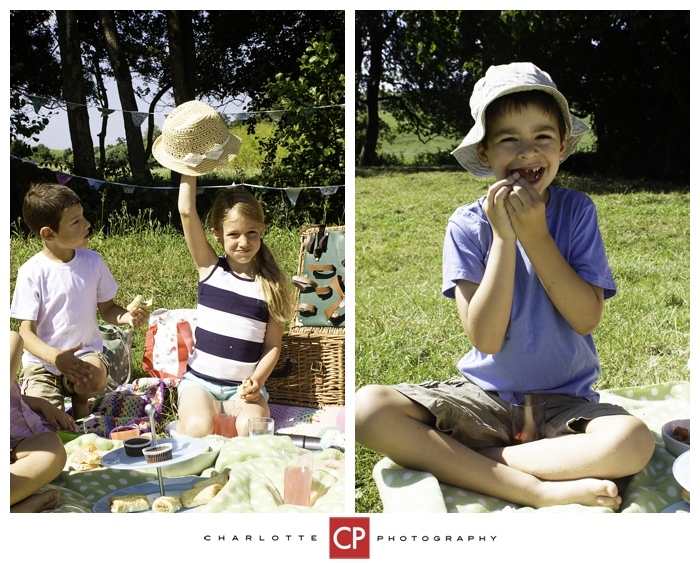 In years to come, you’ll look back on a picnic with a special fondness – it’s so worth making the effort to take pictures on special occasions. 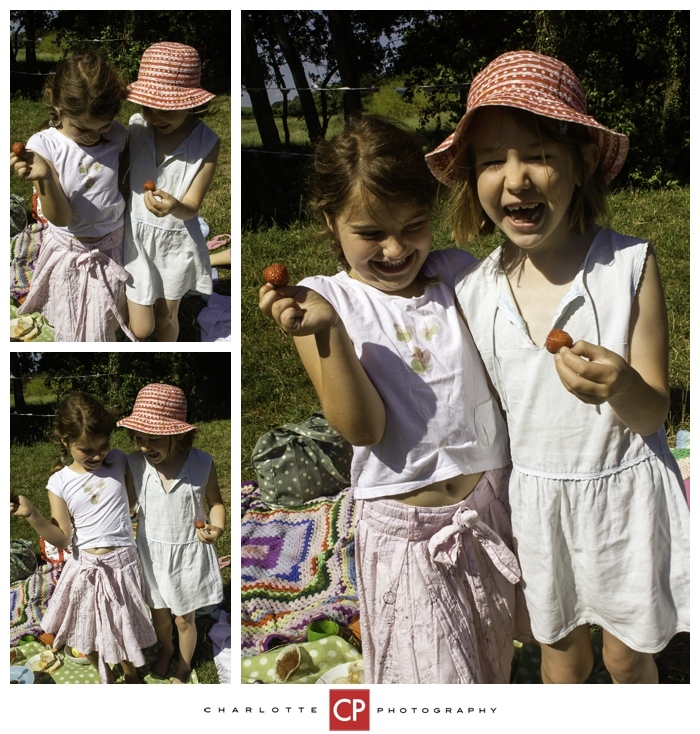 And who knows, when winter comes around, the chance to relive those glorious days of summer might inspire you to make a book of your summer picnic. 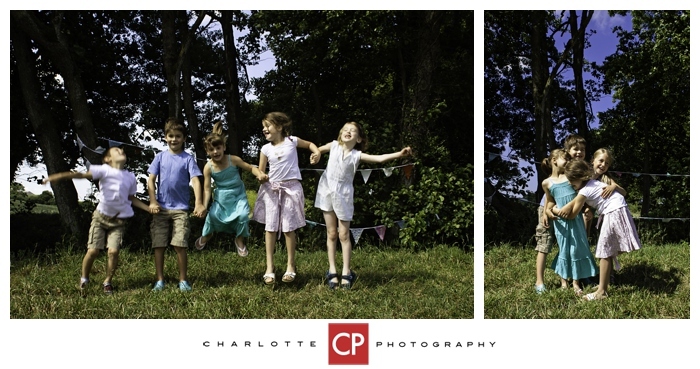 Charlie from Charlotte Photography is a Somerset based photographer specialising in weddings and portraits. 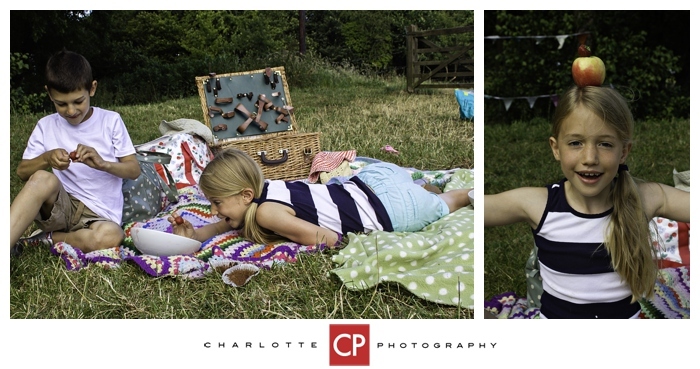 If you would like to book a photo shoot for yourself or your family then please do get in contact via her website : www.charlottephotography.co.uk or her facebook page https://www.facebook.com/charlottephotography.co.uk.